I had to perform a “sterilization” operation on my BGE this morning. Because of the recent rain and lack of use, I noticed some mold growing inside my ceramic cooker. This is not un-common, and usually happens in humid climates. The solution is to simply make a very hot fire to burn off and sterilize the cooking area. I made a screaming hot fire, over 500 to 550 degrees F.
Since I wanted to cook a pair of tri-tip roasts later in the day, I wanted to snuff the fire and let it cool down so I could use it later. So, I closed the top and bottom vents, and let the fire starve for several minutes. When it reached around 250 or 300 degrees (4 or 6 hours later), I “burped” the lid three times (my normal procedure to prevent flash-back), and opened the lid to see if the heat burned and killed off the inside surfaces. About two seconds after I lifted the lid, I heard that scary “whoooooosh” sound of the fire coming back to life. This was the biggest and loudest flash-back I have ever survived. 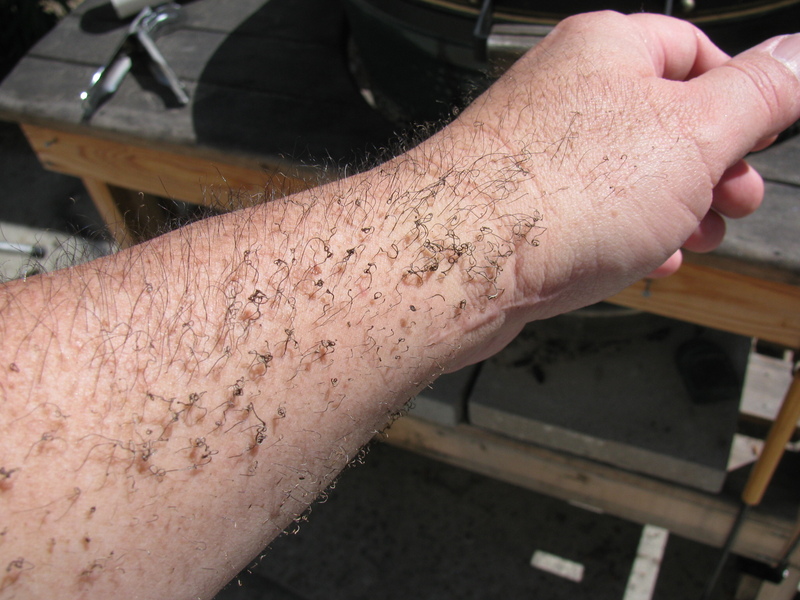 I was lucky – No burns to my skin, just some very singed arm-hair. Meanwhile, the two tri-tip roasts came out perfect – Those will make great sandwiches for the next few weeks….